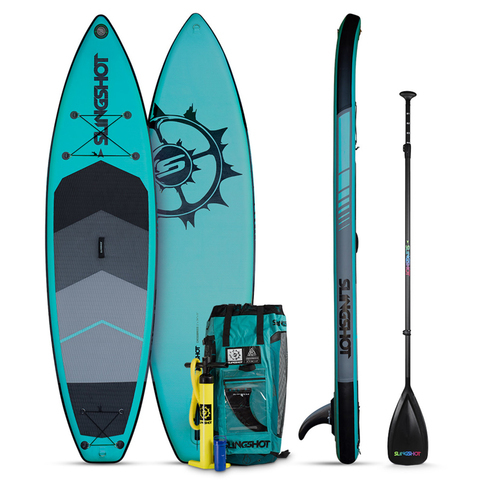 With an extremely durable DropStitch construction, a wide waist, tapered tail, and a gently rockered nose, the Slingshot Crossbreed Inflatable Paddleboard can handle everything from the beach to the lake or the river with ease. This lightweight paddleboard is also user-friendly and surprisingly easy to store (even fits in a backpack!) so you'll want to use it for years to come.